One school of thought, which I had always relied on as authentic history, is that ENUGU-EZIKE had her original descendants from Oba of Benin. The man who had been known as the great grand fathers of ENUGU-EZIKE has the name – “ENUGWU-EZIKE OBA ATTA IGARA BI IGBO N’IME”. It is said that the Oba from the West (Benin) migrated to Onisha through Asaba, through the stream via Aguleri to Ebenebe, then came and settled at Enugu Ukwu all in Anambra State. Enugu Ukwu has since been known to be the original home of Ezike Oba- up till now; there is OKPUNO ZIKE in Enugwu Ukwu. In 1935, some nine old men from ENUGU-EZIKE here went to testify in a court of law at Awka in a land dispute between Enugwu Ukwu and Enugwu Agidi in Awka zone. After settling there hunting and farming according to the legend, he moved through the Anambra Rivers to Igabada and then to Idah both now in Kogi State. He lived in Idah for sometime, moving with the season in this hunting expedition, until at a time, Ezike Oba shot a huge elephant and followed the track of the wounded animal to Odoru and Agbokete in Idah zone. 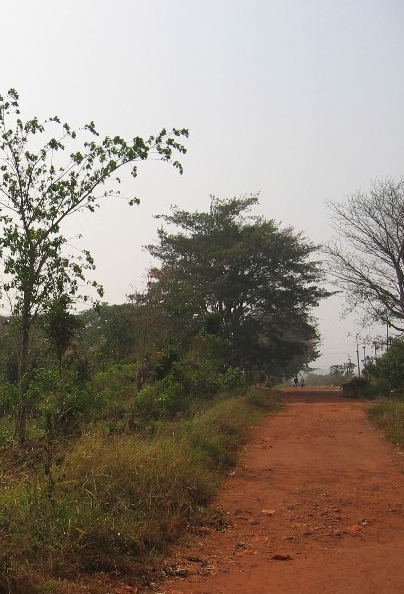 This pursuit continued through Ibagwa Ani – Ekoyi groove up to Ugwu Eka (Hill) at Amube where the animal fell dead. He finally settled at Amube Hill, and married a woman called Ukoji from Ekoyi in Iheaka. This act of settling down on a hilltop from where he could easily spot a game, earned him the nick-name “ELUGWU” meaning “HILL-TOP”. All these put together ELUGWU EZIKE OBA. He later established settlement on a strip of land between Amube and Ekoyi. This strip of settlements, hunting have clear association with history. Origins of almost all towns and villages cannot do without hunting, migration and settlement. The early man as a wanderer and hunter. The Bushmen of South Africa etc. ENUGU-EZIKE has certain things in common with Benin, Igala, Idoma, (Kogi state) and Enugwu-Ukwu (Anambra State). This reinforces their ancestral decent from these areas. Their resemblances are refleted in their costumes, head-gears (men and women) the traditional music bands – (Okanga and Okeregwu), flutes – (Elephant tasks Ariwa), Obeta – (Igalla Idoma and Enugwu Ezike) Ogbaje is the name of the present Attah of Idah. Odo, Ebonyi, Ossai (Benin and Enugwu-Ezike). The uses of bows and arrows in hunting and warring are identical. Most of the dialectical differences in the language of Enugwu-Ezike people and the people of Benin, Igala and Idoma derive from internal cultural needs although broadly they seem quite identical. 1st Son – Ezzedo 3rd Essodo 2nd Son – Itodo 4th Ozzi. At their maturity age, they had to marry and procreation came in this vein: children called Udah and Uroshi. ITODO had six children called Amufie Eze, Amachalla Okwo, Olido Ogiri Enevu, Imufu Ejagu, Igbelle Odori and Ikpu-Iga Odori. ESSODO has seven children called Aji, Umuagama, Umu-Ogbo Ulo, Umuogbo Agu, Umuogbo Inyi, Umu-Ogbo Ekposhi, Ufodo. OZZI had twenty children called Ogrute, Umuida, Umuopu, Umuopu Agu/Ogboli, Ezziolo, Mkpamte, Onicha Elugwu, Okata, Igogoro, Ikpuamodo, Okpo, Amaja, Isiuugwu, Owerre-Eze, Inyi, Ugbaike, Umachi, Amube, Ogbodu, Aguibeje. “As a man answers, so he is” – This is typical of UMU-ITODO OYERI AJIMA. In consonance with the polygamous family, sons of the same biological mother have access to take to wife any of his maternal brother’s finacee if the couples do not agree or the brother is dead. So it was with Ozzi and Itodo who were from the same mother. Itodo as the senior from the same mother was persistently offered selected girls of marriageable ages to marry, but being very handsome, elegant and proud, he persistently and continuously rejected these girls. As tradition would have it, the girls were willed to his brother – Ozzi, who in his own good faith accepted them for better or for worse. This exercise continued for so long, that Ozzi occupied very many large arable areas with his wives and children in such manner that itodo saw it as a challenge. When it dawned on him, he appealed to the father, Ezike Oba, for a wife, which of course was belated considering his age and status. Therefore, he was nick-named (OYERI GI). Has it dawned on you now? You have seen that your hunior, Ozzi, has superceded you geographically and numerically. Let me side track here – Oyeri Ajima is from Umunko in Igbo-Ektiti L.G.A. as a hunter whose duty it is to wake up early to get his prey, he was always lazy and unable to wake up early. One day, he woke late and met his mates with their games coming home jubilating for a rich hunt. Being disappointed, the next day, he rose very early and had a rich dividend – so it dawned on him. Since that episode, any lazy person, when he changes, is nick-named – (OYERI GI). From the above-mentioned historical background, all the four communities in Enugu-Ezike have no geographical contiguity; rather they have what may be regarded as a geographical dovetailing. Each community swoops into the other with the same culture, attire, and dialect. UMU-ITODO: Culture, tradition and Christianity. As earlier mentioned, the culture and tradition of the four sons Ezike Oba have no marked differences. The Onyishi of his community, while all the Onyishis of the communities are under the supreme Onyishi of Ezike Oba. Politically and it can be compared thus:- Village Onyishi & Oha – Local Government, Community Onyishi & Oha – State government, Ozike Oba Onyishi & Oha Federal Government. Christianity came to Umu-Itodo as far back as 1929/30 through one Moslem, a warrant chief, Sulieman Adukwu, who brought Christianity from Nsukka. His influence in Umu Itodo made him to establish school at Ugwu Olidi in 1929 & 30 before it was shifted to Amufie in 1931. This was the C.M.S. in 1935, the R.C.M. thorough Chief Ayogu Ede Nweke of Amube came to Olido why this note is important is to remind our historians that the light of Christianity, which is the mother of Education, started from Umu-Itodo, and spread into the other three communities of Enugu-Ezike. The earlier rivalries, skirmishes and competitions between the two giant denominations (R.C.M. and C.M.S.) are now things of the past after the schools’ take over by the government during the Asike Administration after the Nigerian Civil War. Umu-Itodo as a community is not asleep in the modern trend of things. Politically, his eminent personalities are in the government, both local and state. Social, her social interaction with other communities is cordial. Academically, her youths are spread all over the secondary schools, colleges of Education and other Higher Institutions in the country and from the look of things; Umu-Itodo looks forward to more development ventures through the products of these institutions. Economically, a few of her business men and women are waxing higher and higher and with time, which is the healer of all wounds, there will be greener light. Like I mentioned several times and from the historical background of the Enugu-Ezike founder as a hunter-migrator, IMUFU was once in one village with Olido but went out in pursuit of a game as his profession since there were not handsome ones around the vicinity. He went on an expedition to a groove or forest between Ogrute, Umu Agama, Umuopu Agu/Ogboli Aguibeje. He found the area very fertile, spacious, secured from encroachment and attack with plenty of wild animals, and was overwhelmed by the site. He named the place (Ime Ufu). So, this became the name of all the settlers’ thee-short form “IMUFU”. Compare this with the settlers at the borders of Akpanya, Agbokete and Amaka, which name stands as today as ULA Adi (there is no need going home – short form (UNADU). Ovoko, Ibagwa, Ihakpu, Uhunowere, Iheaka, Obukpa indegenes form the bulk of settlers in UNADU. Culled from The Trail Vol 1, No. 1 , OAUG, 1994.
traveling circuses are most common during the yuletide season when village troupes provide social entertainment for visitors and indigenes alike. Preparations usually start much earlier in the year when the various groups select and begin to practice their repertoire. I have a short video clip of a typical traveling circus here>>. the countryside is populated by simple honest folk and is, well, detached from the hustle and bustle of city life. the nearest city is of course, the university town of Nsukka. Some scenery is available here>>. For more information about this website, send an email to ikechukwu@ugwuanyi.net or complete and online guest book here>>>. You may also submit an article or essay. Essays may be edited prior to publication.